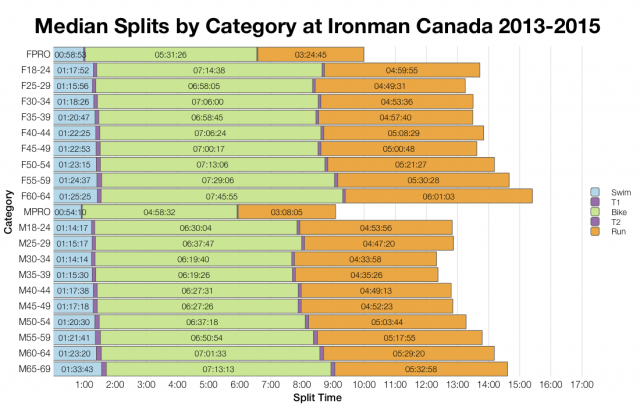 The final set of results from the weekend come from Ironman Canada in Whistler. 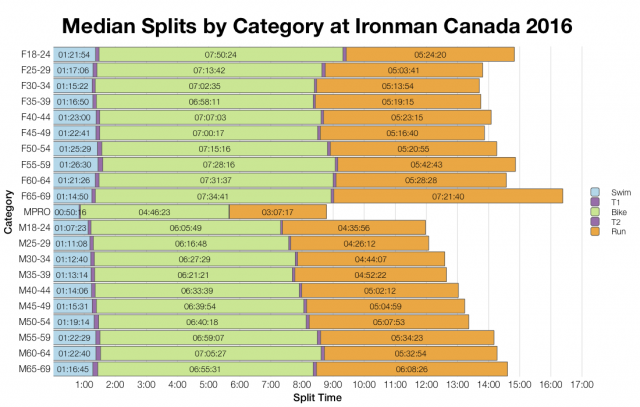 At half the size of Ironman Lake Placid, Canada still offered the standard set of 40 slots for the Ironman World Championship. Results from this year’s race look to be fractionally slower than the average. This year’s swim splits appear to be slightly faster than the previous three years, after that the trend is towards slower times. 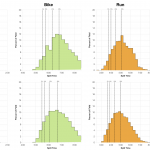 It’s not by large margins, but both bike and run lean a little slower than past results. This culminates in slower overall splits with a broad spread of times in the middle to back of pack pulling down the median. 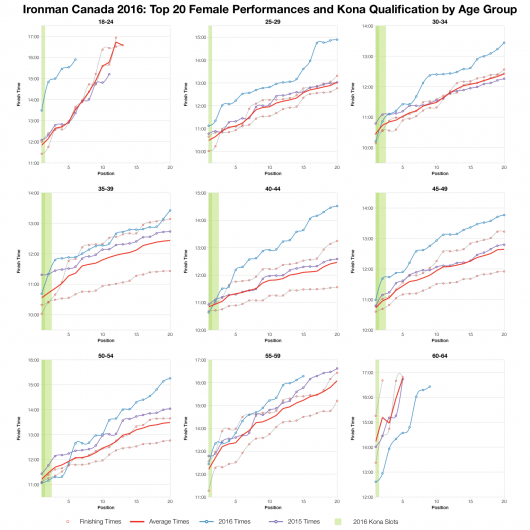 Although not the highest for the course – that was last year – DNF/DNS rates remain much higher than the first two years of racing in Whistler. The run seems to account for the biggest proportion of outright DNFs (remember swim data mixes DNS and DNF numbers) at this year’s race. Still not as significant as bike DNFs last year. 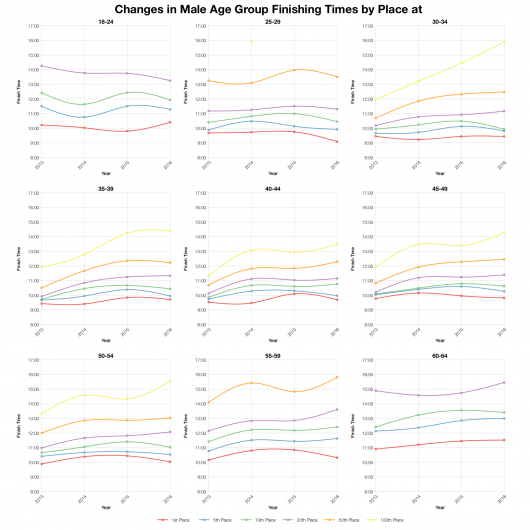 For the most part we can see the slowing of bike and run medians across the age groups in the above charts. 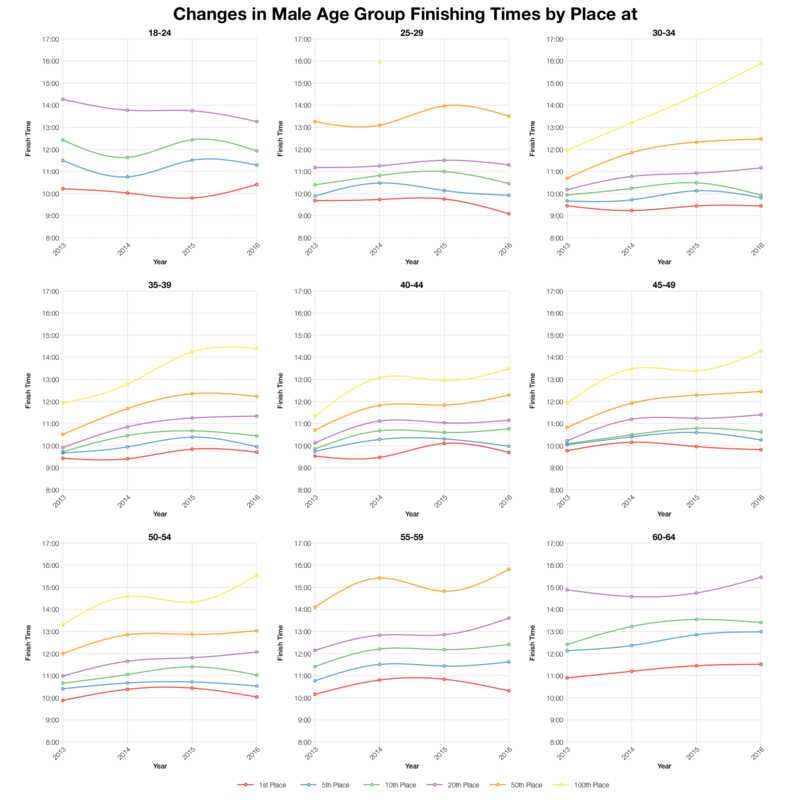 There are exceptions, with men under 30 showing improved median splits in both. There isn’t a consistent trend towards slower splits, likely reflecting the relatively small slowing of times at this year’s race. It’s not surprising that most competitors are from North America, but perhaps more surprising that Canada is second on this list. In it’s first year at Whistler, Canada was a championship event with a high slot count; it drew a large field and we see faster times in the charts above. 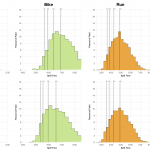 Beyond that the times appear to have settled and this year’s race, while trending slower at the median, doesn’t appear to stray far from previous results. 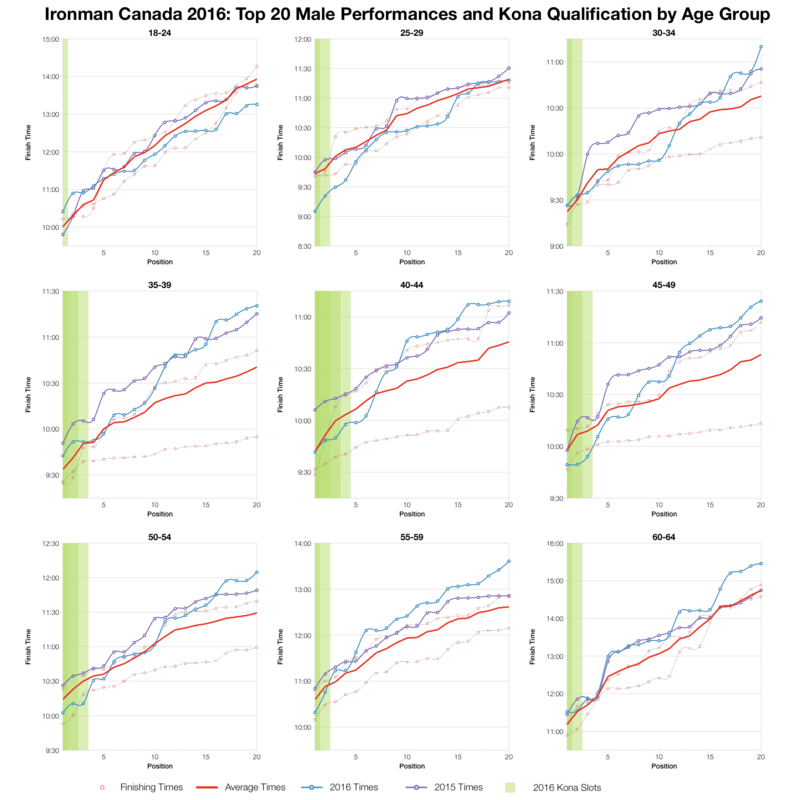 Again, there’s variation among the age groups and also with position – age group winners appear to have performed relatively well. 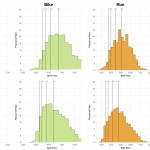 I’ve estimated the Kona slots on the basis of registered athlete numbers, final start numbers will determine the exact allocation. From that I’ve calculated the automatic qualifying times in each age group, this doesn’t account for any potential roll down. 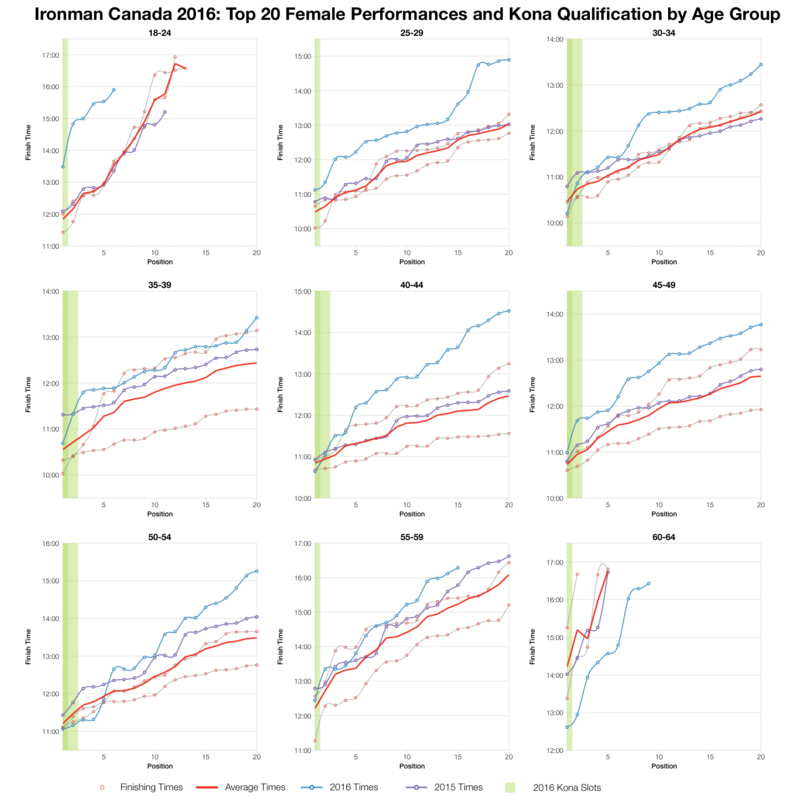 You can compare these numbers with previous results and other races on my Kona Qualification page. 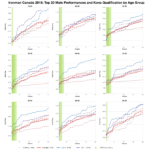 There’s a lot of variation in how the top twenty performed across the different age groups. Beyond 5-10th place the majority are slower than average, but at the very front some are faster. 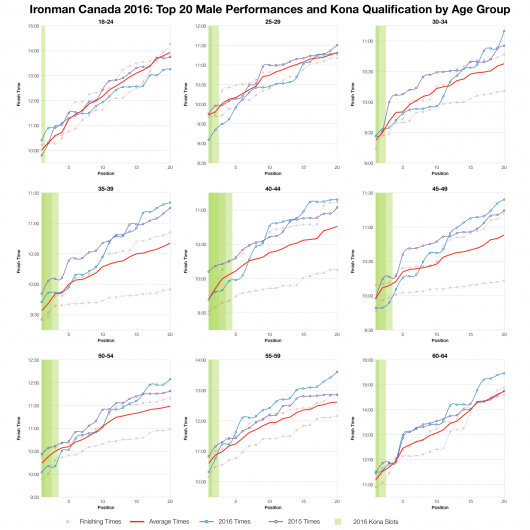 From a qualifying perspective most are looking at the average or better, with one or two age groups seeing slots go for slower times. You can access a spreadsheet of the full results and splits from Ironman Canada 2016 on my Google Drive.